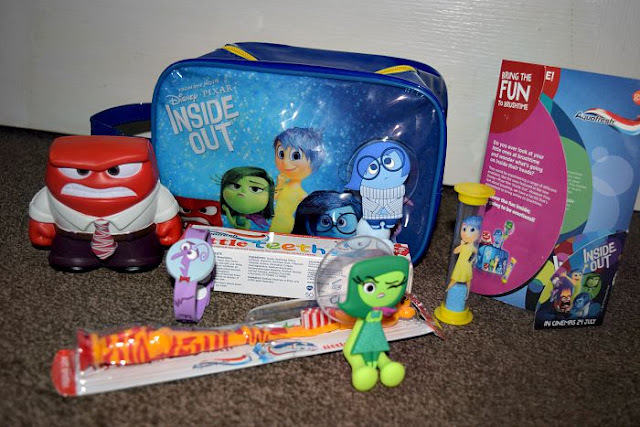 Aquafresh have teamed up with Disney Pixars latest movie, the extremely popular Inside Out to try and encourage children to enjoy the routine of brushing their teeth. A survey of 1,558 parents showed that two thirds of the parents involved admitted their children don't enjoy brushing their teeth and nearly half of them claimed they have to make their children brush their teeth as they wouldn't do it of their own accord. We were sent an Aquafresh Brushtime kit along with some handy tips to try out to make brush time more fun for us. I have to say we actually had a great routine already. Gracie has always loved brushing her teeth, we had a small period where we struggled with Zach as he wanted to be independent and do it himself and I worried about how it would affect his teeth letting him do it by himself. This is when we decided that we would let the kids brush their own teeth but only after Mummy or Daddy had given them a good brush first. Zach kicked off a few times and so was told we do it first or he doesn't brush them at all. It lasted two days with him watching Gracie have hers done before he gave in and we haven't had a problem since. 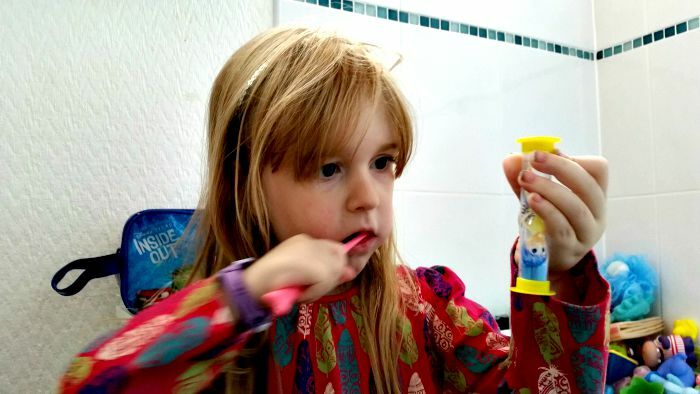 Our brushtime kit contained toothbrush holders, a bracelet, a stress toy and a sand timer along with a toothbrush and Aquafresh Little Teeth toothpaste all in a cute Inside Out wash bag. Gracie and Zach are both big Inside Out fans so were excited to start the challenge and even more excited to brush their teeth than usual. I found the sand timer the best addition to our routine as it showed me that although we brush our teeth everyday we don't do it for as long as we should so now the kids hold their timer while I brush their teeth and take over when it is finished. This makes me so happy now I know that they are being brushed longer and more thoroughly. 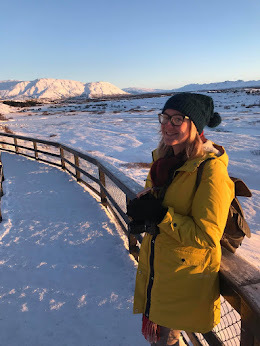 It is quite worrying that we were doing it for probably only half the recommended time before so my biggest tip for anyone would be to get a timer of some sort, whether it be a physical one to hold or even a phone app. I love the collaboration between Aquafresh and Inside Out. Children experience so many different emotions every day and it is nice to give them characters to explain how they are feeling and for them to associate the way they feel with the characters. Anger, Fear, Joy, Sadness and Disgust are all loveable characters and we are happy to use them to describe our feelings.